To start the registration process, please visit the MEM Curriculum website to view the course schedule, course syllabi, course descriptions, and dates, to determine your course selections for summer 2019. After finalizing your schedule, please enter your course selections in the Google Form and the MEM program will confirm your registration by e-mail. The Google Form is to be completed by Monday, May 6, 2019. If a student completes the form and then requires a registration add/drop, email mem@northwestern.edu directly to communicate the registration change. The last day to drop a summer 2019 course with tuition adjustment is June 28, 2019. The last day to drop a course for summer 2019 is not stated on the academic calendar, but please email MEM if you plan to drop a summer 2019 course after June 28, 2019. NOTE: MEM students will be responsible for registering themselves for any electives outside of those listed below. Electives must still be listed on the Registration Google Form and MEM staff will notify those whose elective choices do not meet program criteria. IEMS has a “Waitlist” website that students should utilize to request a permission number for available IEMS courses. Please note that IEMS-300 level courses are reserved for IEMS undergrad students first, then undergrads in general, and finally to grad students. The website is geared more towards IEMS undergrads, so not all information is applicable to MEM students. Kellogg is not offering summer courses. Farley is not offering summer courses. Segal Design Institute is not offering summer courses. MSLOC is tentatively offering one course in summer 2019. Please email MEM to communicate your interest in this course and you will find out if there is room in the course closer to the start of the summer quarter. MSLOC 440: Executing Strategic Change, will be offered in the hybrid format, with virtual sessions held on Wednesday evenings from 7 p.m. - 8:30 p.m. There will be a mandatory onsite July 23 6-9pm; July 24 9 a.m. - 9 p.m. and July 25 9 a.m. - 3 p.m. There will be an additional $400 hybrid fee for the onsite. Any schedule updates can be found on MSLOC's website. No summer 2019 courses available to MEM students. MSIT is not offering summer courses. MPM is not offering summer courses. 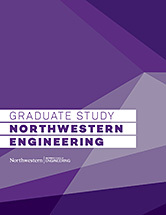 For more information on any of these courses, please contact mem@northwestern.edu. If a student becomes aware of a graduate level elective of interest, put it on the Google Form, and the MEM Program will let you know if it is possible. If you have questions about a certain course, you are encouraged to email MEM for consideration. The Program requests that you do not go to the course faculty/department to ask directly. Starting in the fall 2019 quarter, if you register for one, two or three courses, the tuition fee is $5,379 per course. If you register for four courses you will be charged the quarterly rate of $18,366. If you have questions or updates regarding summer 2019 courses, please contact MEM. Please note that the billing cycle is such that those registered by the 10th of the month will get a bill due the 1st of the following month, and those billed after the 10th of the month will get a bill in the middle of the following month due the 1st of the month after their bill arrives. MEM will be registering MEM students for all summer 2019 courses starting May 13, 2019 and students will receive an electronic tuition invoice in mid-June 2019 with a July 1, 2019 due date. If a student would like to be registered earlier and receive a June 1, 2019 tuition invoice due date, please indicate that in the summer 2019 registration Google Form. Please note that some non-MEM course registrations may require an earlier registration (e.g. NUvention courses) or a later registration (e.g. Kellogg courses) that could create an early or late bill, respectively. Students will receive an email notification at your Northwestern email address when each new bill is available online. Then, to view and optionally print your bill, log-in to CAESAR with a Northwestern NetID and password to locate the bill (CAESAR > For Students > Financial Services > View My E-Bill & E-Payment). The option of making your payments online or by mail will continue to be your choice. All MEM full-time students (those who are registered for 3 courses or more) will automatically have $100 “activity fee” added to their tuition bill each quarter. Full-time students will receive a Chicago Transit Authority (CTA) bus/train ID pass that provides unlimited rides on the CTA buses and trains during enrollment as a full-time student. All full and part-time students have free access to the NU state-of-the-art Henry Crown Sports Pavilion, which is located in the same building as the MEM classroom space. Further information regarding June 2019 graduation will be hosted on our graduation page. Students who graduate starting in the summer 2018 quarter and on are eligible to participate in the June 2019 graduation ceremony and reception.